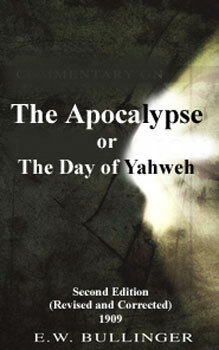 Many people do not read the book of Revelation (Apocalypse) because they can not understand it. They do not understand it because they lack a thorough knowledge of the Old Testament. Revelation is the finality of the Old Testament. Many teachers in the Christian Church (the Body of the Christ) have applied the information, in this book, to the Body of the Christ, rather than to the Hebrews and non-Hebrews who will still be present upon the earth after Christ comes for his Body. This massive error is financially profitable, because it sells many books, but never-the-less this book is about Hebrews and not the Christian Church. Revelation is the compliment to Genesis; Genesis being the beginning and Revelation being the end. Below are two teachers, who are not perfect, but in my opinion, they are probably about 90 to 95% correct; one is E. W. Bullinger, whose book was written in 1909 and the other is John Schoenheit (Spirit & Truth Fellowship International), who produced the audio lesson years ago. Both of them are Hellenized, which is normal, but never-the-less, both have much to offer. This book is the only book that promises, "Happy! he that readeth, and they who hear, the words of the prophecy, and keep the things, therein, written..." (Rev. 1:3)!